Stripes are used by interior designers around the world in their residential as well as commercial interior decor projects. No matter, whether you are making use of stripes in a traditional or contemporary manner, it is a great way to add that professional interior look and to bring some order to your space with them. The stripes have power to reshape a room’s interior and to add an attention grabbing element to any space. According to the expert interior designers around the world, stripes have the potential to completely re-do a room, depending on how intelligently we make use of them. The best thing about stripes is that they mix artfully with all kinds of patterns, especially with the solids to give a wow factor. The stripes look elegant when they are tone-on-tone and wild when bold and bright. There are many different ways you can make use of stripes to add to your room’s splendor. Amer Adnan, the best home and commercial interior designer in Pakistan has recommended some ways to make intelligent use of stripes in home decor. Read below to know more. The stripes on the floor undoubtedly create a wow factor, no matter which part of a home they are used in. 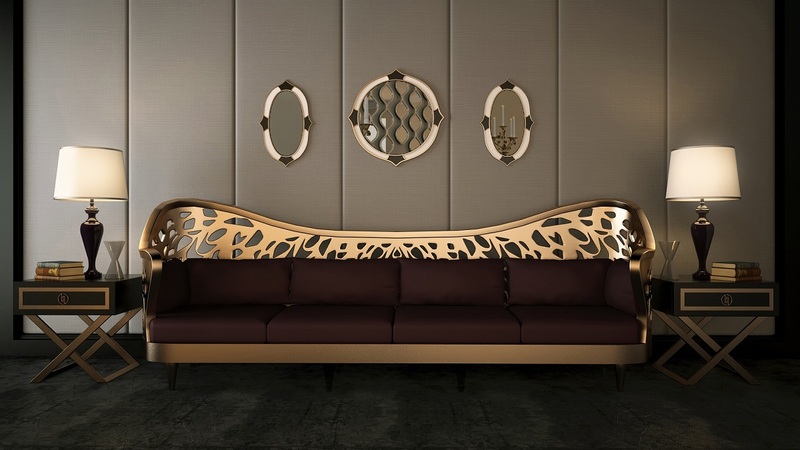 Although, most of the interior designers make use of striped floors in washrooms, kitchens, corridors and other smaller areas of the house yet, some of them use this design technique in bedrooms, living rooms and other areas too. The most commonly used combination of stripes on the floor is created with dark shades and brilliant white, however, many other combinations can also allow you to create the wow factor! Giving a blank wall some persona with stripes is one of the best ideas you may have in a while. The stripes on the walls can be horizontal or vertical. When it comes to horizontal stripes, they make a room look bigger and spacious, whereas vertical stripes make the ceiling of the room look higher than real. The stripping on walls is a simple technique, but requires really careful selection of colors for getting desired results. AmerAdnan is of the opinion that vertical and horizontal stripes on walls can add to the perceived size and dimensions of any space. If you are planning to do it yourself, you may read post by Sherwin Williams about how to paint horizontal and vertical stripes. 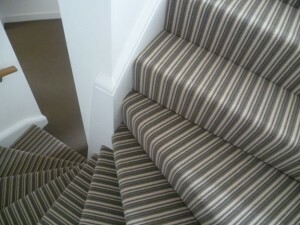 Stairs give a dramatic look when they are covered with striped runners. The stair runners are available in many different designs and styles and out of all, it is one of the most popular designs to decor stairs. The best thing about them is not only make the stairs look longer, but also give an inviting impression to anyone who sees them. The best idea in this regard is to make use of a light and dark contrast. You can also get a few tips on stair runners from a latest publication on Houzz.